Don’t you love those nights that were supposed to be tame but end up being really fun? That’s how Friday was at our house. We had D and L over for dinner and ended up singing karaoke in front of the TV until early morning. Poor neighbours. 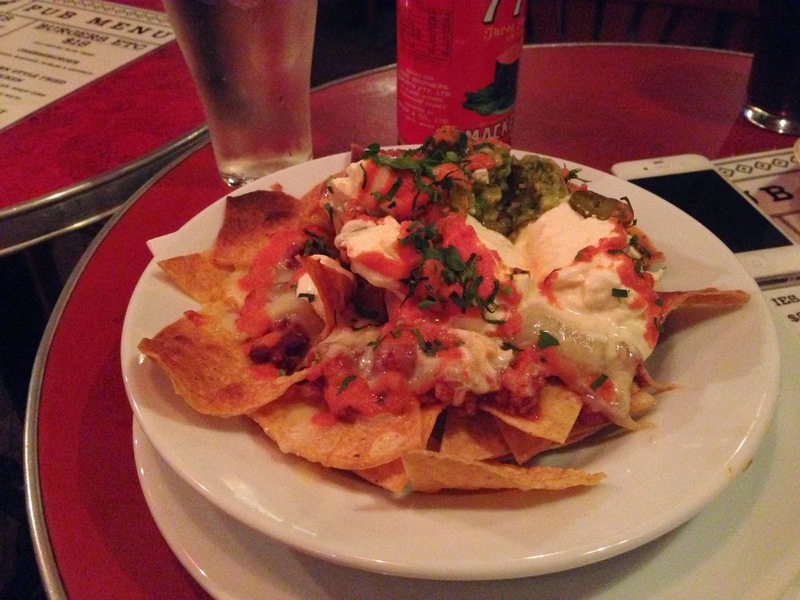 Anyway, over the weekend I felt like smokey chips, so we headed to The Carrrington in Surry Hills for some food and a drink. 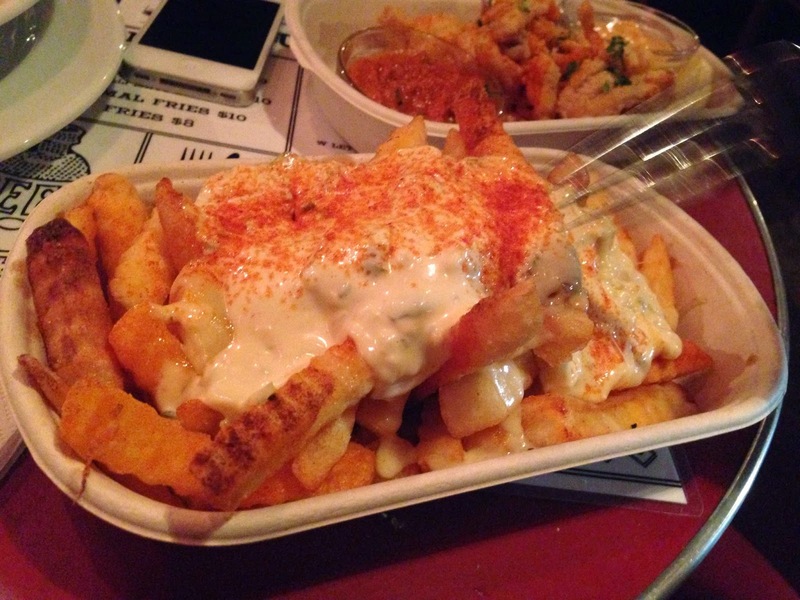 We got the animal fries, cuttlefish and pork nachos. All delicious, all bad for you, who cares. We headed to the theatre last night with some friends to see The Effect. I haven’t seen a play before, so I wasn’t sure what to expect but I really enjoyed it. The story was really engaging and in parts it was easy to forget that we were in a small-ish room watching people act out a play. The play was at Sydney Theatre Company and there is an adjoining bar where we had pre-drinks and a bite to eat called The Bar at the End of the wharf. What a fantastic location for a bar! Might have to head back some time for a drink because the view was spectacular. I also watched Eat, Pray, Love over the weekend in preparation for my trip to Bali later this year. I hadn’t seen it before and was told it would get me excited for Bali. It was a great film and the storyline was good. My sister in law actually met Ketut last time she was in Bali and said he was a lovely man. I’m pretty excited to check out Ubud, it looks like a beautiful place! What have you all been up to? Have you seen a play before? I haven't read it yet and went to get it the other night but my kindle was out of charge! So I'll get it this week and read it. Oh, they were SO good. 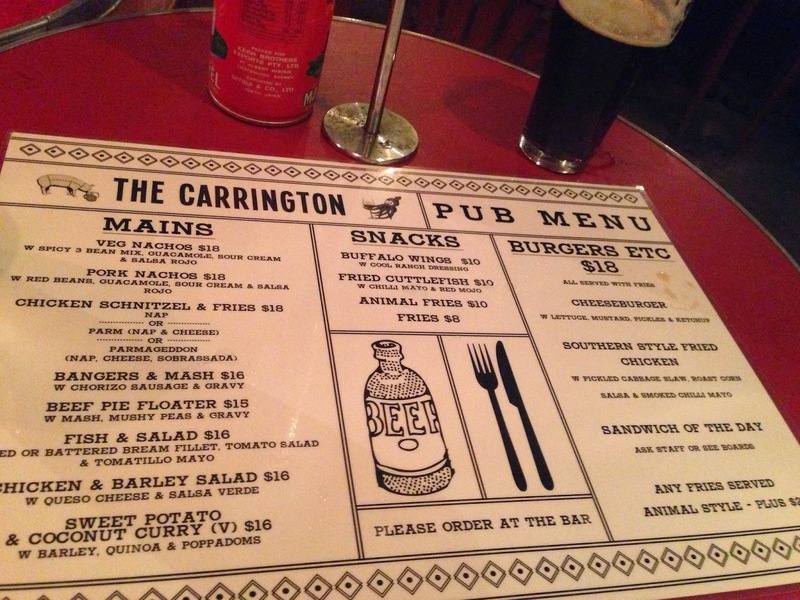 I am putting The Carrington on my list of places to check out - those fries look so good (and so bad)! It's a great pub. Yes, definitely try the chips. Make sure you ask for animal fries though otherwise you get plain fries smothered in tomato sauce. I was at the carrington sunday night! I dont like their change from spanish food to whatever it is now. This time last year they were doing a different Sunday roast every weekend and it was soooooo good. I thought the restaurant out the back was Spanish? I haven't been to the restaurant so I wouldn't know haha. Saw your post and immediately craved fries. Haha we ended up at The Norfolk last night, but will have to pay The Carrington a visit in the near future. Give in to the craving! Eat all the fries!! Yes I had to see quite a few plays when I was studying Literature and I enjoyed them a lot. I wish I was near the city and not stuck out here in the country. We don't even have a cinema over here!